Connect to two devices at the same time and have calls on either one. Stream GPS directions, music, and podcasts. 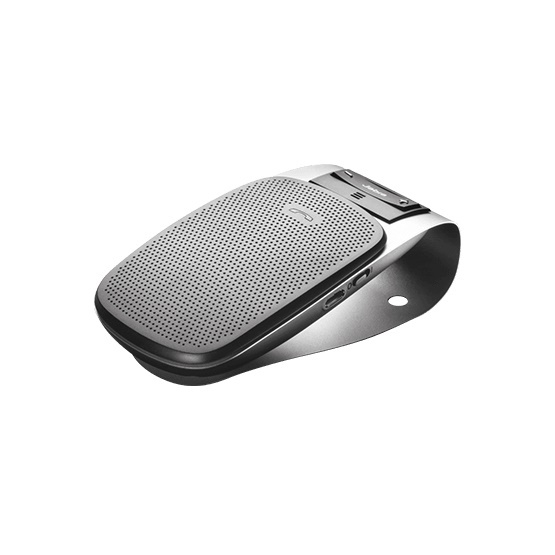 Jabra Drive clips onto your car’s visor and stays conveniently out of the way. Get spoken connection and low-battery status. Stay safe and enjoy hands-free calls on the road. • Extremely easy to use. Voice-guided instructions tell you how to connect to your phone. You also receive spoken updates when you’re connected or low on battery. 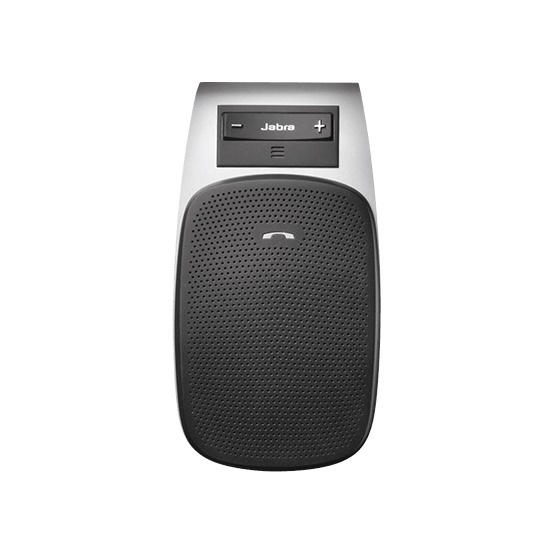 Once Jabra Drive is paired with your phone, it will connect automatically when it’s in range. When a call comes in, use the dedicated control buttons to answer it directly from Jabra Drive. • Even though you’re on the road, you don’t want to sound like you are. 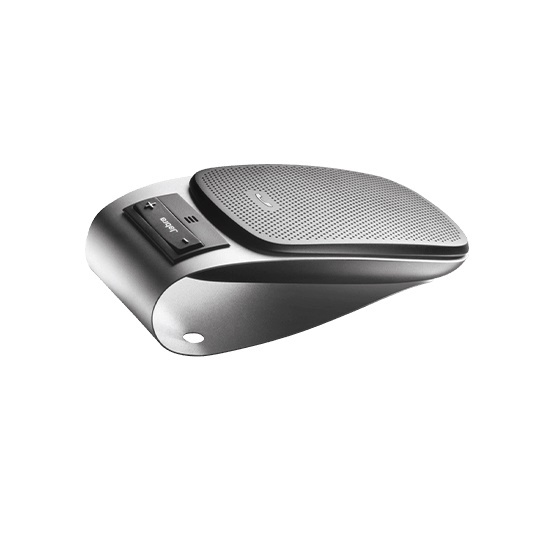 Noise cancellation technology dampens the road noise and gives you clear, crisp sound for your calls.